On our Wellington Music blog we’ve been checking in with some local artists, writers & critics to get their thoughts on what makes the Wellington Music scene unique, and to get their take on some of their favourite Wellington sounds. You can check out some older posts from critics Nick Bollinger, & Grant Smithies, Blue Smoke writer Chris Bourke, and musicians Samuel Flynn Scott & Alistair Fraser, but since it is New Zealand Music Month we thought we would check in with some more people over the course of May. So far we’ve gotten some great music picks from Grayson Gilmour, Ryan Prebble and Matt Hyde from ‘Beastwars’, Sophie Burbery with plenty more to come. 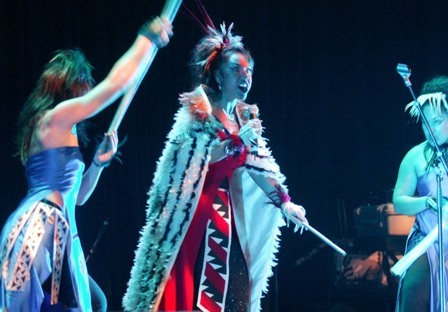 Mahinarangi Maika pours a lifetime of heart and an eternity of culture into her music. Performing as Maika, her music flows easily between Maori and English languages, reflecting the cultural heritage of her native Aotearoa/New Zealand, in a style that blends reggae, soul, R & B, and jazz. Maika belts out that musical language without reservation. She has the vocal power of Melissa Etheridge or Pat Benatar, but with a different quality that makes her hard to classify. The music ranges across styles, her words and melodies reflecting the passion and pain of a life transiting the resurrection of a culture. Maika is Ngati Porou and Te Arawa. Performing for free and unplugged at Central on May 29th at 12noon. Monty’s NZ music month picks for 2013, so far! Well, it’s almost time to wrap up NZ music month, but before we say a temporary goodbye to emphasising all things kiwi and music, here’s a selection of some mighty good new releases for 2013.
Who do you love? The haunting subtle music of Tiny ruins;, Homebrew’s Tom Scott has a side project, the more personal @Peace and The Ruby Suns change direction (again) but let’s not dawdle, let’s run, because it’s NZ music month picks for 2013, so far, by me only. Antipodes / Popstrangers Auckland trio Popstrangers may be the most uniquely NZ of our NZ music this month with a swirly psychedelic pop guitar sound reminiscent of Flying Nun bands of yesteryear (The Chills, JPS Experience The 3Ds) progressing into something more modern and maybe impressive. They’ve signed with American label Carpark Records – does fame, money and fans await – from the majority of NZ bands experiences I would say no, but I like them! Sonido de LatinAotearoa / LatinAotearoa Jennifer Zea released well received title The Latin Soul album last year, and as if to cement the new, authentic sound of Latin music in New Zealand here are LatinAotearoa! Combining the best of Bossa Nova, Salsa and local influences and including contributions from Tom Scott (again) this is a joyful, original, funky list of songs. Christopher / The Ruby Suns Ryan McPhun (he is the Ruby Suns) was included in Uncut magazines recent tribute to Bryan Wilson and this is no mistake. The Ruby Suns make some of the most elaborate, delicious pop music around and previous albums Sea Lion and Flight Softly are NZ music month classics. Christopher is along similar lines but cleaner, poppier and dressed in golden synths but remember, this is a break-up album! Haunt / Tiny ruins Tiny ruins is dreamy, low-fi, a bit Americana and certainly a little eerie. Hollie Fullbrook plays original tunes from the early years of her songwriting life and they come to life perfectly. Kia ora ano and welcome to our third and final feature in our New Zealand Music Month series of interviews with local Māori musicians. 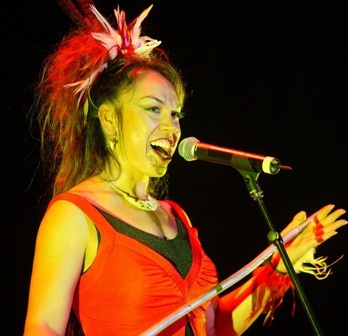 This week’s feature is on Toni Huata, a local songstress and permformer of Ngati Kahungunu. Check it out! I’m working currently with Paddy Free and it is another great working relationship. We also worked together on my single Tahuri Mai (releases on May 24 2013) and 4th album Hopukia (2012). 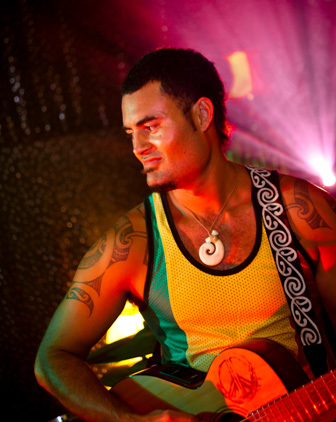 I also love working with Gareth Farr (in RWC 2011, albums Hopukia and Whiti and stage production Maui – One Man Against the Gods), he is so talented and is a laugh in the studio. Past producers I have had many wonderful experiences with and always a good laugh. I love working with long time collaborators and friends Charles Royal and Tanemahuta Gray. Yes, we are currently in studio starting my fifth album Tomokia. My single ‘Tahuri Mai’ releaseD through DRM and Amplifier on May 24th and to iwi stations May 20th. Kia ora and welcome to the second interview in our series of interviews with local Māori musicians. Here we have an interview with local musician Karl Teariki, helping us to celebrate NZ music month by telling us all about his sweet sounds! 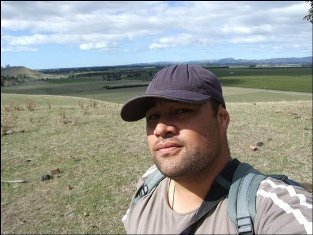 I am from the tribe of Ngāti Kahungunu, Te Waka o Takitimu, growing up on my ancestral land known to our family as Maunga Kōhatu, but known these days as ‘Royshill’, Highway 50, 15 km south west of Hastings. 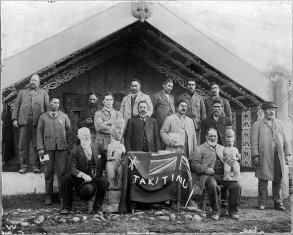 My marae is Omahu and my hapū is Ngāti Hinemanu. On my father’s side, I also descend from Te Waka o Takitumu in Rarotonga, from the tribe Ngāti Raina with connections to Mauke, Tāhiti and Ra’iatea. Although I have lived in Wellington just over twenty years, I will always be from Heretaunga. The real one, not the one in Upper Hutt. I have worked on many kaupapa Māori albums starting with the iconic band Black Katz led by Ngātai Huata when I was 12 playing cello on the track Mahinaarangi. I first started on guitar when my Mum was getting classical guitar lessons from a well-known Hastings musician, the late James Baker, who was a session player from England, a lovely man and a great teacher. I used to sit in on her lessons after school when I was 6 years old, and I think I just soaked it up like a sponge as kids do. I started playing the pieces my Mum has learned by ear, and she taught me what she had learned. She says she stopped teaching me when I got better than her. A few years later I also learned classical cello from my teacher Alison Hansen, as well as continuing on guitar with Mr Baker, and later at high school with Dave Boston. When I was 15, guitar was definitely cooler, so I put the cello away and transferred what I had learned on the cello to electric guitar. Music has always been a creative outlet for me as has art and ‘The art of Tutu’, my number one passion. Tutu means basically to learn and explore through experimentation. The thing with whakatauki is they can relate to many things, depending on how they are examined. This one could relate to learning or goal setting; a bird building its nest from little things. Learning is the same, each small thing learned is an achievement that build towards a bigger outcome. I guess themes in my work are to do with my heritage, and how that fits into the modern world. I feel that Māori music is continually growing and evolving, depending on the generation that is carrying it. Each generation has its own preferences and tastes, like the word whakapapa which translates to genealogy. It literally means, ‘to become a layer’; each layer / generation has its responsibility to those before and after it. What I enjoy most about performing my music is to leave a thought or feeling with someone that they did not have previously. An idea can be shared with someone, without losing it. I have many favourites but for me it’s about how that piece of music can make me feel, regardless of the composer or genre. I appreciate music that is crafted, but then a three chord song can tell amazing stories. I prefer a music ‘smorgasbord’ over ‘a la carte’ if that makes sense. I am currently working towards the second release from PAO, again featuring the vocals of my sons who will be 14 and 16 when we are finished. A couple of the songs are in English with the rest in Māori. They cover many themes from losing loved ones, returning home, heritage, heartbreak, tutu, and also covers a few favourite songs, including AEIOU written by Wī te Tau Huata in the 1950’s and sung by many a primary school student across the country. That would probably be a song called Nemesis, by a group named Shriekback released in 1985. I like its weirdness and strangeness. I’d love to cover the following songs from a Polynesian / Māori perspective: UK black – Soul II Soul, Exodus – Bob Marley, Sing our own song – UB40. There are also many beautiful Māori songs I would love to cover one day. Kia ora ano! 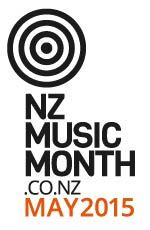 You might remember, I promised some exciting things for NZ Music Month here on our he korero o te wa blog… and here goes! Local musician Matiu Te Huki very kindly answered some (okay, a lot of) questions for us, and told us all about his music and his inspirations. Check it out! 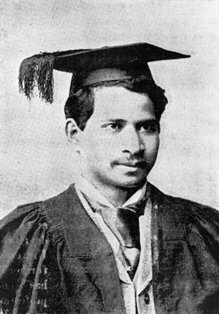 Ko Kahungunu me Rangitane ki Wairarapa oku iwi. I’m also of Italian, Irish, Scottish and English descent. I’m a dad, I teach kapahaka in kindys and schools and love dogs. I’m from Masterton, lived in the South Island for a while and I’ve lived just north of Wellington in Raumati South, Kapiti Coast for 8 years now. Started as a child on the ukulele, then guitar, sang my way through school in choirs and kapahaka groups. My voice is my main instrument and the guitar is the instrument I play to accompany my voice and to compose music with. A lovely old man called Pop Joe taught me to play for a couple years (from 10-12 years of age), I’ve been bluffing it ever since. I’m still learning. I learnt guitar because I love music so much and it’s easy to carry around. I really got into singing at Hato Paora Maori boys college. It gave me a real sense of identity and pride to stand and sing, especially in my native tongue. 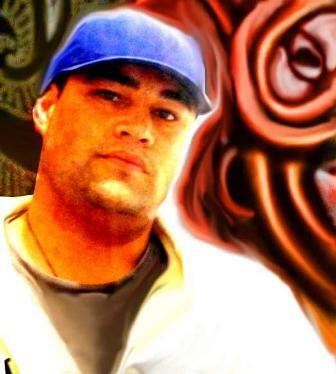 I still write songs in Maori and use haka, chants and traditional instruments in my music, more than ever now actually. My main themes are about revolution. Internal (evolving, loving oneself, letting go of fear etc) and external (Learning what’s really going on in the world, loving one another and standing up for our rights together…while we still have them). I feel it is under-appreciated in this country by the music industry. In saying that, a lot of people are ready and hungry for it, especially overseas. I love connecting with people, uplifting their spirits, inspiring them with my themes and putting myself out there. I don’t really enjoy playing to drunk crowds anymore as I feel most of the time they’re missing the point. Warren Maxwell, Ria Hall, Louise Baker, DUB FX are a few that come to mind. I’m inspired by those who follow their hearts, break the rules, and play what they want, not what the industry says people want to hear. I loved playing on stage with Fat Freddies Drop for the experience of the big crowds, composing and recording with Anika Moa for her skill and voice and I loooooooove jamming freestyle with people and feeling things fall naturally and beautifully into place. I’m pretty much gigging every weekend at the moment, I feel I’m having a music year! Way of the Superior Man by David Deida. I’m developing my solo act, about to come in for winter and write some new stuff and getting ready to tour Europe in August. Hmmmmm….. I think that would drive me crazy! I cover a few of my favourites, I’d love to play ‘Killing in the name of” by Rage Against the Machine. In the right environment, of course. I post my gigs on my Facebook page and my website is matiutehuki.co.nz. My next gig in Wellington is at the Southern Cross 18th May, 10pm-12, free entry. The way of the superior man : a spiritual guide to mastering the challenges of women, work and sexual desire / David Deida. If you’re looking for an introduction to a bunch of good New Zealand music at the electronica/dance/dub end of the spectrum, the LOOP compilations are a great place to start. They were released around the turn of the century, but many of the artists featured on these albums are still making cool music, and the library has a fairly good selection of them; it can be interesting to look at how they’ve changed over time, and interacted with each other. Of course, the other nice thing about Fat Freddy’s Drop is that it’s a springboard into a whole constellation of bands… but it might be better if that was another post. Happy heartbreak! / the Sami Sisters. Infectous, singable, hummable, danceable pop fun with Auckland’s Sami sisters. Mixed by NZ music scene recluse and eccentric legend, Ed Cake, so lots of bittersweet lyrics and happy music! The man, the music, the hits. You’ve got to give respect to a man who can cover Sexual healing and MacArthur Park on the same comp and I haven’t yet mentioned Cheryl Moana Marie, Tania and, for a man meeting middle-age, the increasingly stirring If I only had time. Not a dry eye in my house, anyway. Ghostplane – Beneath the Sleepy Lagoon: ‘Southern gothic’ was a genre name coined especially to describe the sound of Wellington’s Ghostplane. They only made this album and one EP in their short career but left a highly distinctive memento. A dark, moody ambience, punctuated by searing guitar lines, pervades these lovely textured songs that carry a NZ flavour not often explored. In their own idiosyncratic way, this band rock. Mestar – Shut the Squizwot Factories Down: In a more just world John White would be ultra famous. His Mestar project carries the original classic Dunedin indie guitar sound into the future. Huge fuzzy guitars under his distinctively twee sweet vocals create songs that represent the pop music of an imagined parallel Earth. Sola Rosa – Get It Together / Get It Together Remixes: Starting out as a solo laptop artist, Andrew Spraggon has unrelentingly pursued his musical vision to finally emerge at the helm of a large band of fine musicians, and this record represents the pinnacle expression of his vision so far. It is a record that includes a variety of influences – dub, lounge, jazz and soul – and the inclusion of international vocalists such as Bajka and remixers such as DJ Vadim herald a truly international sound. The Haints of Dean Hall – The Haints of Dean Hall: A record of haunting post modern lullabies and possibly one of the gentlest records I have ever heard. This trans-Tasman duo create an ambience with electric guitar and vocals so sweet and gentle that it is hardly there at all, yet listen carefully and these are lovingly crafted songs about love, sorrow and experience. “They are trying to recall something but it is like passing shadowy figures in a hallway”. The Bats – The Guilty Office: When a band can release an album 20 years into their career that matches or even tops anything else in their back catalogue then you know there is something very special going on. In 2008, The Bats very quietly released this record that was like a reminder to indie kids the world over just what ‘indie’ truly means. Great songs, slacker grooves, elegant understated guitar and laconic yet heartfelt vocals – The Bats – a national treasure!